The aide added Harris supports congressional legislation requiring a president’s tax returns be made public. Sanders, who has repeatedly promised to release his tax returns and recently revealed his book deals made him a millionaire, is expected to release his returns on Monday, the tax filing deadline for 2018. Steffen says prior to her married tax filing in 2014, Harris’ filings over the previous decade had a fairly basic tax return. Her income while in public office also shows a decline as she climbed from San Francisco district attorney to California attorney general. Her election to the state office sliced about $43,000 off her salary. The state AG salary also dropped year after year, due to state mandated pay cuts for state salaries in the wake of the financial crisis. 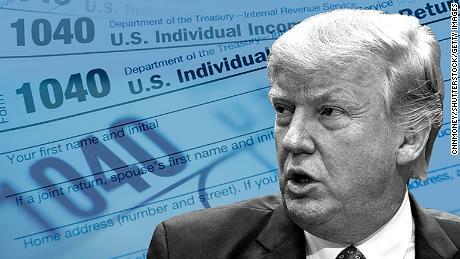 Steffen says according to his analysis, Trump’s tax cut act had little impact on Harris’ personal taxes. In her campaign for president, Harris has repeatedly called for a repeal of Trump’s tax plan. As a US senator, Harris has introduced a middle class tax plan, that she calls her LIFT Act. She also pledges should she win the Presidency, she would increase teacher pay through federal funding.